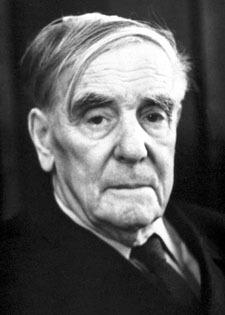 Soviet physicist Pyotr Kapitsa was born and educated in the Soviet Union, but first made his mark in science while working at Cambridge University, where in 1934 he invented a new device to produce liquid helium. His invention was the first machine capable of manufacturing large quantities of liquid helium without using liquid hydrogen for pre-cooling, making the process far more affordable and allowing a major expansion in the study of low-temperature physics. In the same year, he returned to his homeland to visit family, and when his visit was finished Soviet officials refused to allow his return to England. As a result, he spent the remainder of his career in Russia, where he was admired and to some extent protected by Josef Stalin despite Kapitsa's persistent criticism of Soviet policies. He was not allowed to leave the USSR until 1965, and he spent the years 1946-55 under house arrest, punishment for his refusal to participate in atomic weapons research. In 1937 he discovered the superfluidity of liquid helium, a phenomenon characterized by a complete absence of viscosity under certain circumstances, allowing superfluids to circulate endlessly in a closed loop with no friction. When helium is cooled to what is called its lambda point, a temperature of approximately 2.17 K, the liquid's density drops and a portion of the liquid becomes a zero viscosity "superfluid". Kapista won the Nobel Prize for Physics in 1978, for his research, inventions, and discoveries in the field of low-temperature physics.